Save Energy | Soundproof Windows, Inc. 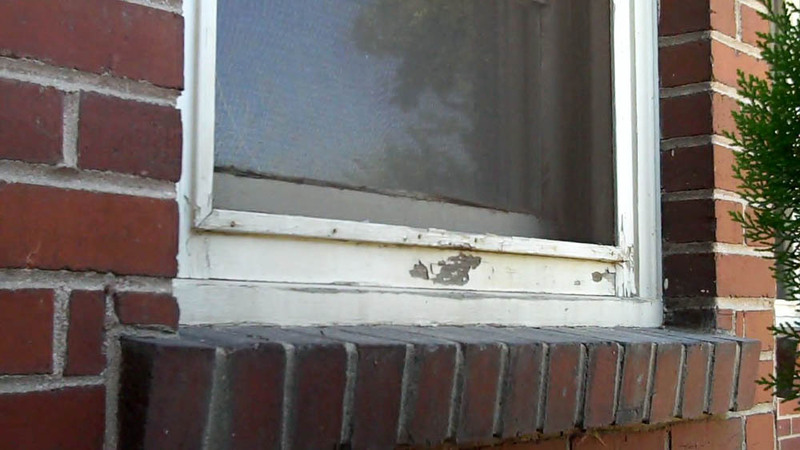 He resides in a 60-70 year old brick home with old fashioned wood framed windows. While not specifically designed to be energy efficient windows, our windows save energy because they insulate the windows you already have. Many customers contact us because they cannot replace their windows or do not wish to, but need to save on energy bills. Mr. W., lives in Reno, Nevada, where there are seasonal temperature extremes from the low 20s to the mid-90s, was astonished at how much he saved on his energy bill. He desperately needed to add soundproofing, but discovered that by adding Soundproof Windows, which also act as energy efficient windows, they could pay for themselves by reducing his outrageously high energy bills. He decided to add our soundproof windows throughout the house to maximize the energy savings. 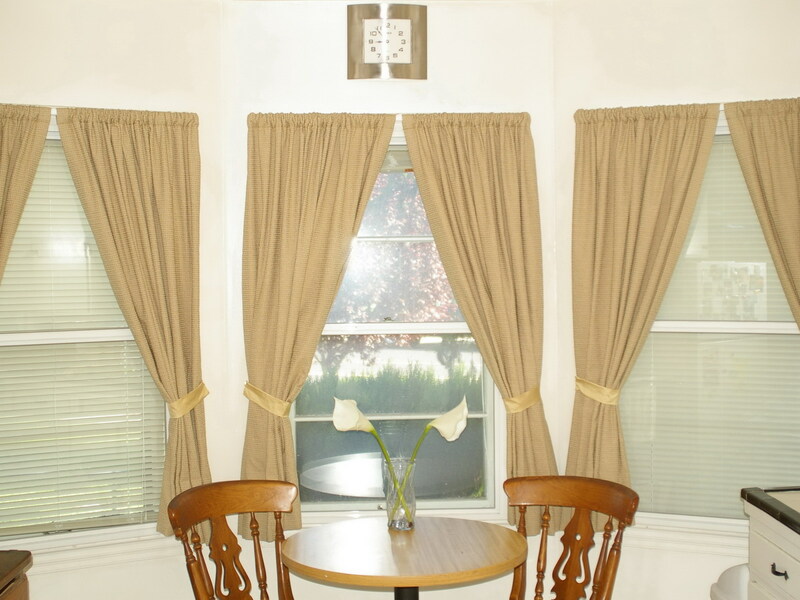 Here, the newly added windows have been installed in the dining area on the interior of an existing wooden window. They are virtually invisible. 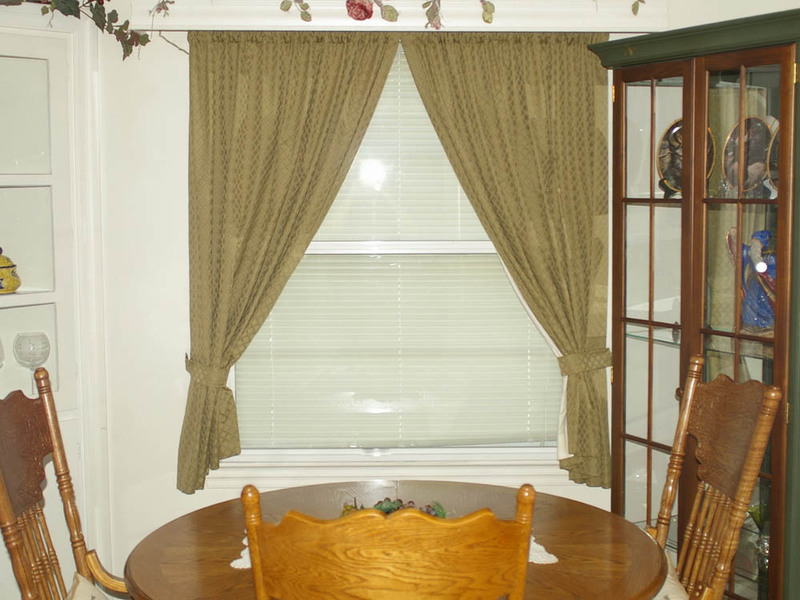 Note that these are not replacement windows: they are secondary windows and are mounted on the inside of the existing windows. With Mr. W.’s permission, after adding our energy efficient windows to his existing windows, his home was tested by Sierra Energy Professionals to determine the amount of air leakage. 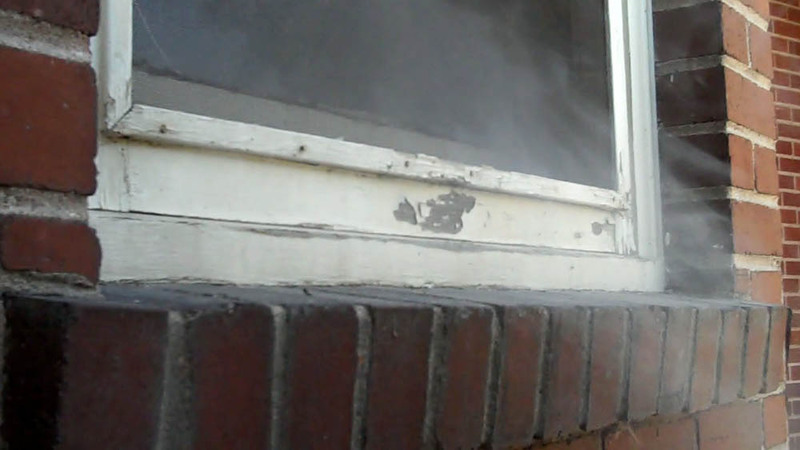 Part of the test used a fog machine situated on the inside of the kitchen where our energy efficient windows have been added. With the fog machine running, the photo at right clearly shows the presence of air leaks with only the original window shut. With the fog machine still running, the new interior energy efficient window has been closed. 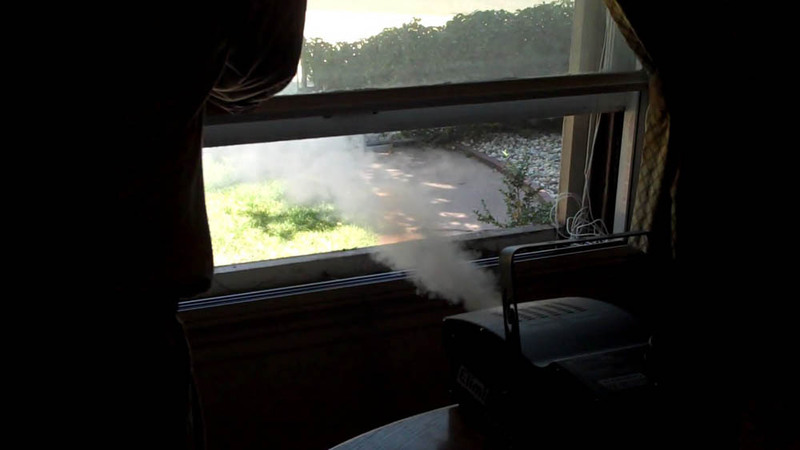 As can be seen, none of the fog generated from the machine is escaping to the outside of the home, indicating a lack of air leaks. Sierra Energy Professionals found that Soundproof Windows act as energy efficient windows, by significantly reducing the amount of air flow leakage and infiltration. 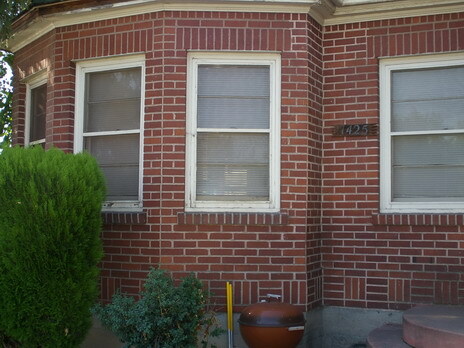 “The addition of your windows to our home has been a phenomenal success for soundproofing and saving energy. We live in the middle of a downtown casino and hotel district that is extremely busy with traffic and special events, and really needed soundproofing. Before these windows were added to our existing windows, you could easily hear the conversation of every couple walking down the street, every car with a premium sound system sounded like it was in the living room with us, and special events were a nuisance. Now, we hardly even know there is ever a car, person or event outside. Every winter was frigid in the house while the furnace ran continuously to keep up. If you stood near a window you would freeze. After adding your energy efficient windows, our energy bill has been cut in half and our winter can be spent cozy and warm in our home. Mr. W. provided us with the energy usage and costs from his actual utility bill over two winters, which showed an incredible 49.7% savings on energy bills, as well as a 54.5% decrease in fuel consumption over that same time period. “As can be seen above my overall energy usage for the winter of 2007/2008 was 550 gallons for a total of $1978.00. During the 2008/2009 winter season, I only consumed 300 gallons of fuel for a total of $983.00. This is a $995 savings from the prior year, and 250 gallons less heating oil used! You too can experience these kinds of energy savings by adding our energy efficient windows – without replacing your existing windows. Contact us today for a free consultation or estimate at 877-438-7843, or send an email to: sales@soundproofwindows.com or fill out our inquiry form.